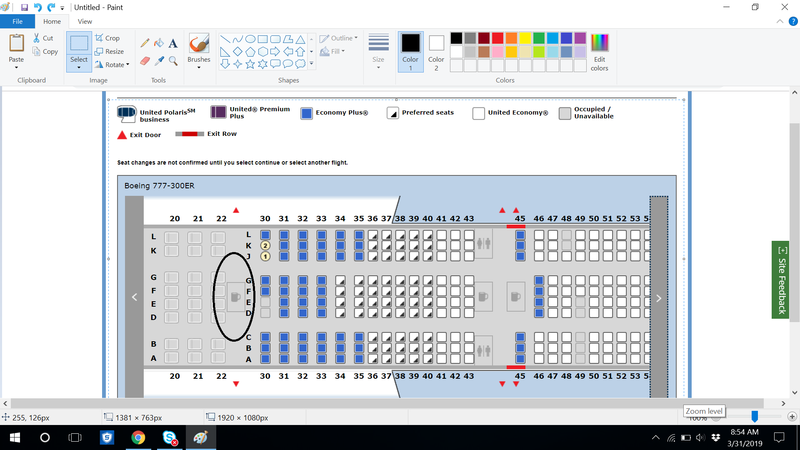 For someone who wants an aisle seat in PP, I am wondering if the bulkhead is a better choice. I would never use the IFE as I usually just binge on my tablet. The upside I see is more leg room and the proper footrest. I am just wondering if the IFE screen takes up any of the legroom. Thanks! It was not as issue when I flew to TPE in a PP bulkhead aisle in December. If you look back a few pages, I believe I uploaded a photo of my legs stretched out. At 6’1”, it was perfect for me. No, the IFE screen is stored below the armrest, so unreleased takes up no legroom at all. The tray table is also stored in the armrest, and can unfold to full or half-width. It has a neat little flip-up segment at the far end that acts as a tablet holder. Clever design, and very useful. 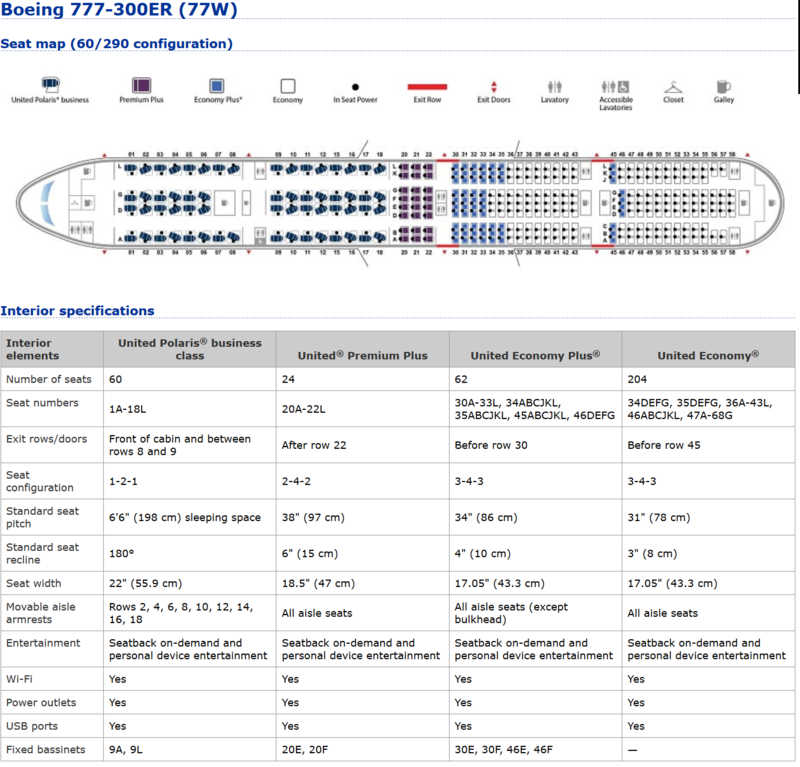 Anyone know if the updated 77W (with PP) has any changes, other than numbering, to the rear cabin? I'd rather not pay $250 for an E+ seat so I'm thinking of taking 57K (the old row 51K). I've heard it does have recline and that there's some extra room because it's a double instead of a triple seat. When I go to select my seats it shows this seat map with only a gallery between rows 22 and 30. However if I look at United aircraft information for 777-300er it shows two bathrooms and no gallery. Which one is correct? I am trying to decide between exit row 30 or exit 45 row. 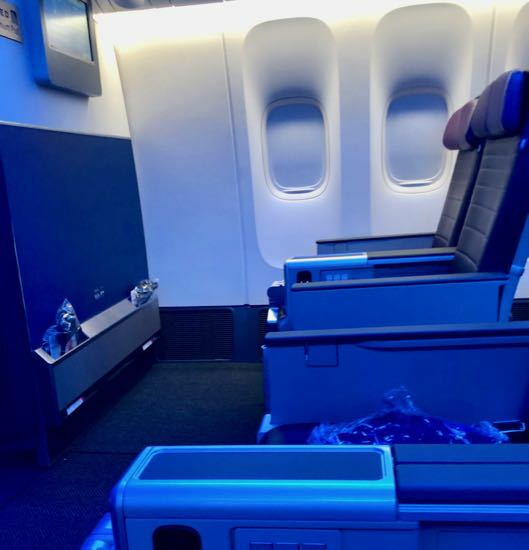 If 30 really doesn't have bathrooms that would be great but if they do it looks like row 45 might have more space between the seats and the bathroom. In the few times that I’ve been on this aircraft with retrofitted Premium Plus, the lavatories, not galley, were right behind row 22 and in front of row 30.